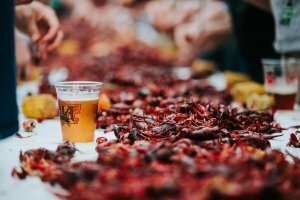 Crawfish boils, alligator boudin balls, deep-fried frogs’ legs — if there’s a swamp creature that swims, flies or skitters, chances are a Louisianan has turned it into something delicious. That ingenuity put New Orleans on the culinary map — but as far as the vegetarian radar goes? Not so much. This laid-back joint offers vegetarian-centric pub grub in a casual barroom setting. Walk past the bar and video poker machines to grab a seat at a tall table by the open kitchen. Tator tachos (gloriously spicy, cheesy and messy potato tot nachos) are a longtime menu favorite. They’re perfect as an appetizer or a main course, and you can’t go wrong with a tofu banh mi or a mushroom Philly cheesesteak (vegan mayo optional) and side of Zapp’s potato chips. 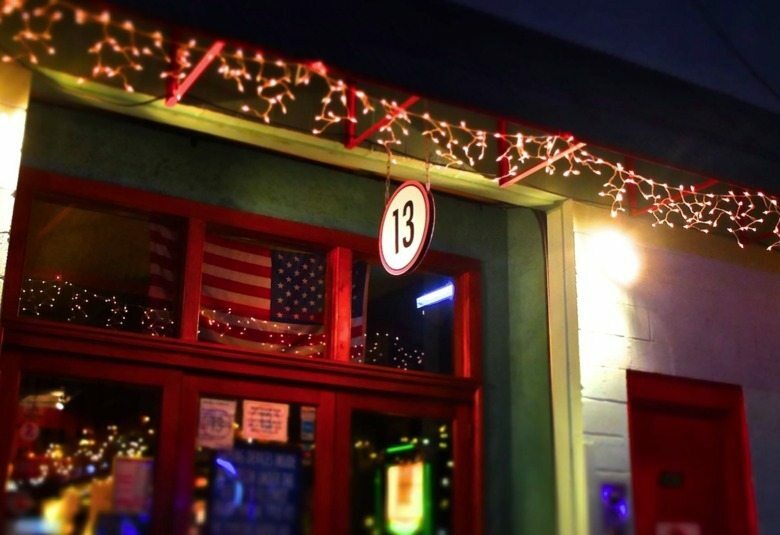 Bonus: 13 is open until 4 a.m., making it perfect for capping off a night of drinking and dancing on Frenchmen. 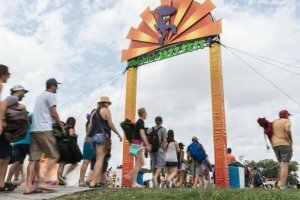 You might have sampled Bennachin’s legendary mburu akara (black-eyed pea fritters and tomato stew on French bread) and jama jama ni makondo (sautéed spinach, fried plantains and coconut rice) at Jazz Fest, where the longtime spot for African fare has a perennial presence. The food tastes even better when consumed in the cozy, colorful French Quarter destination. Bonus: A BYOB policy makes Bennachin an excellent place to affordably wine and dine. It’s easy to overlook this petite restaurant tucked in a narrow, gas lantern-lit alley, but to miss its globally-tinged cuisine would be a shame. There’s mostly outdoor seating at the quirky, no-reservations spot, which fills up fast. Give your name to the maître d’ and grab a craft cocktail (the food is worth the wait). A pecan orange mushroom paté is savory enough to win over the staunchest carnivore, and the vegan Indian lentil pancake and beet hummus are not to be missed. True to its name, Gumbo Shop serves up several types of classic gumbo laden with meat and seafood. What makes it stand apart from many other excellent restaurants in the French Quarter that serve up mouth-watering gumbo is that it also has gumbo z’herbes. Gumbo z’herbes is not easy to find on the New Orleans restaurant menus, so unless you venture out to Tremé to sample Leah Chase’s legendary version at her restaurant, Dooky Chase’s, the Gumbo Shop might be your only chance to try this veggie version within the confines of the French Quarter. And try you should, as it’s made with green stock and with various delicious greens, such as mustard or collard, turnips, and spinach. 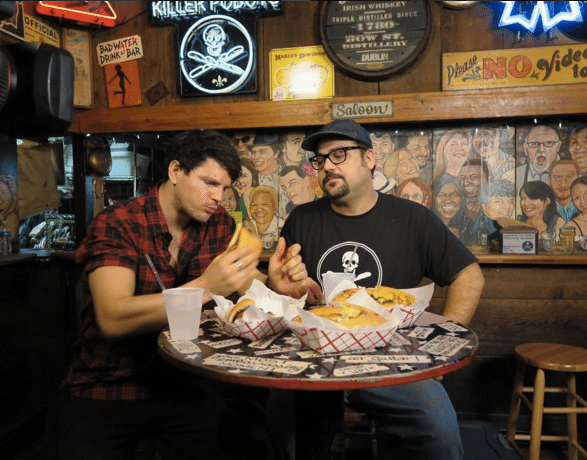 Launched as a pop-up inside Erin Rose (the original location is still operating from the rear of that bar at 811 Conti St.), Killer Poboys has also opened a stand-alone, counter-serve restaurant. The Killer Poboys’ roasted sweet potato version comes with braised greens and represents an inventive yet respectful take on the classic New Orleans staple. The three non-po-boy sandwich offerings are all meat-free and served on whole grain bread: the decadent whiskey grilled cheese, roasted cauliflower (with avocado, radish and kale), and pecan butter and jelly. The back-alley French Market spot is worth the trip for its hard-to-find vegan okra gumbo alone, but its health-conscious menu is full of vegan and gluten-free riffs on other New Orleans classics that usually come only in meat and seafood versions, like the popular Beyond Burger (also soy-free), and the vegan crabcake and Portobello mushroom po-boys. The Crepe Cart has closed its standalone restaurant in Bywater, but it maintains its original French Market stand. Here, you’ll find classic, vegan and gluten-free crepes in flavors ranging from sweet to savory. Stuffed with spinach and tomatoes, the hummus crepe is a hearty choice for vegans, and the strawberry and Nutella version is a perfect option when you aren’t sure if you want to eat lunch or skip straight to dessert.